In the kindergarten room we provide a wide range of opportunities for children to develop across all areas of learning! We follow the QLD Government Approved Kindergarten Program. This program is child centered and allows opportunities for free play and choice, enabling the nurturing of young minds and enhancing development. A frequent visitor to our Centre is the great team at Ocean Life Discovery. Ocean Life is an interactive touch and learn session introducing children to creatures from the ocean, with live marine creatures to touch as well as an activity area to explore. Bob the baby shark comes to visit. As does Dale the Turtle. We have to be honest, we love them all. It is always an exciting day!! 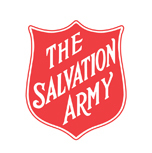 Carindale Salvos is a community of people, not a building nor a program. We are a worshipping community, seeking to honour Christ in all things. And the love and grace we receive from Christ motivates us to lead others to Him. It is a single, means-tested subsidy and is paid directly to child care providers to be passed on to families.